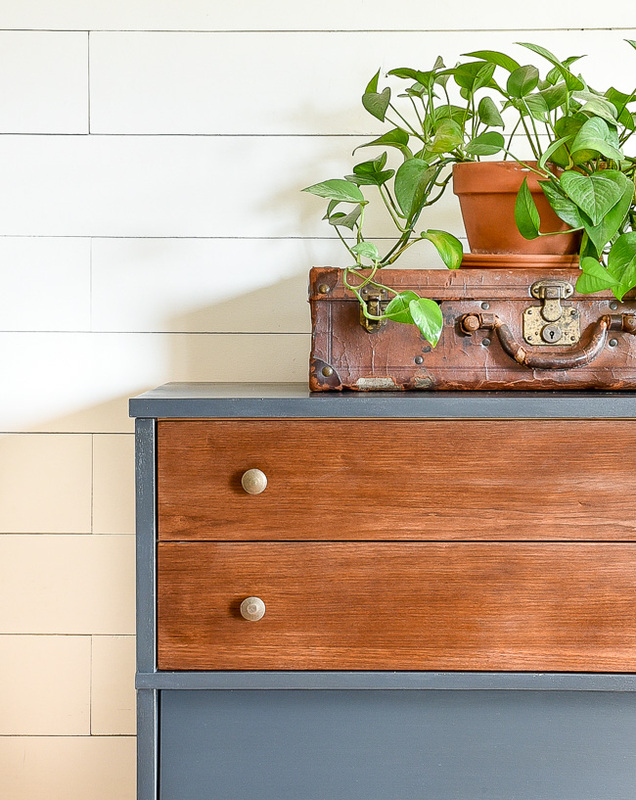 A mid century modern dresser gets updated with paint and stain for a beautiful two-tone makeover. 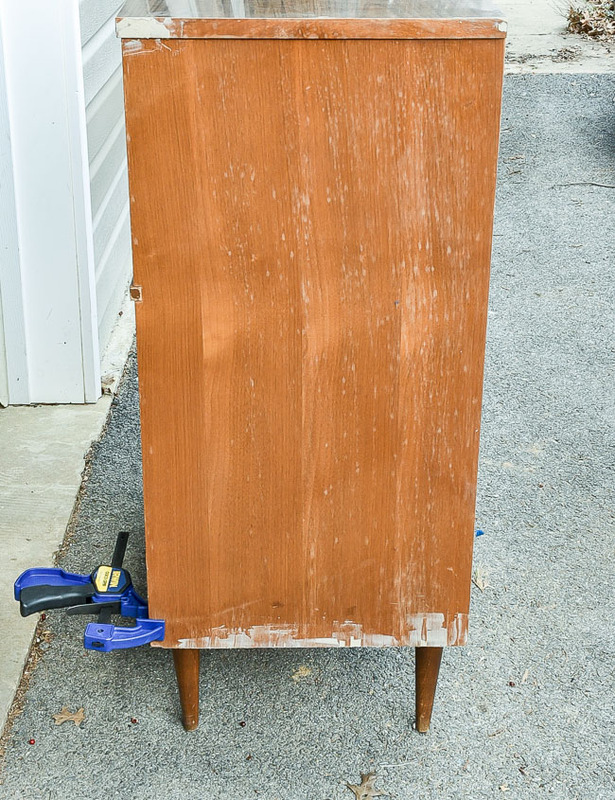 I know, I said I wanted to start trying new painting techniques (and I promise the next furniture makeover I share will be full of chippy goodness), but I couldn't resist updating another tall MCM dresser. Mid century modern furniture is my favorite to update, especially when I'm able to refinish the original wood and create a two-tone finish. 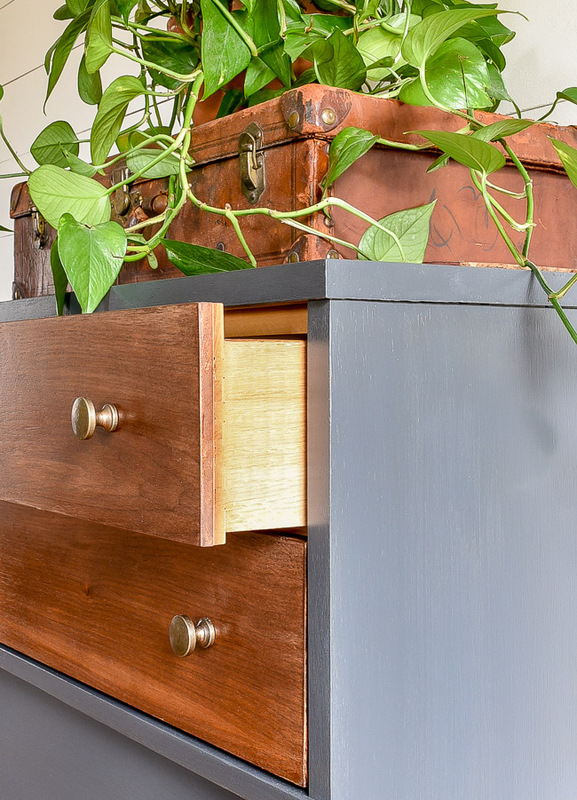 I've painted many mid century modern dressers in the past and love the contrast of using both paint and stain. The available space in our garage is quickly dwindling, but I couldn't resist this great mid century modern dresser when I spotted it on Facebook Marketplace. 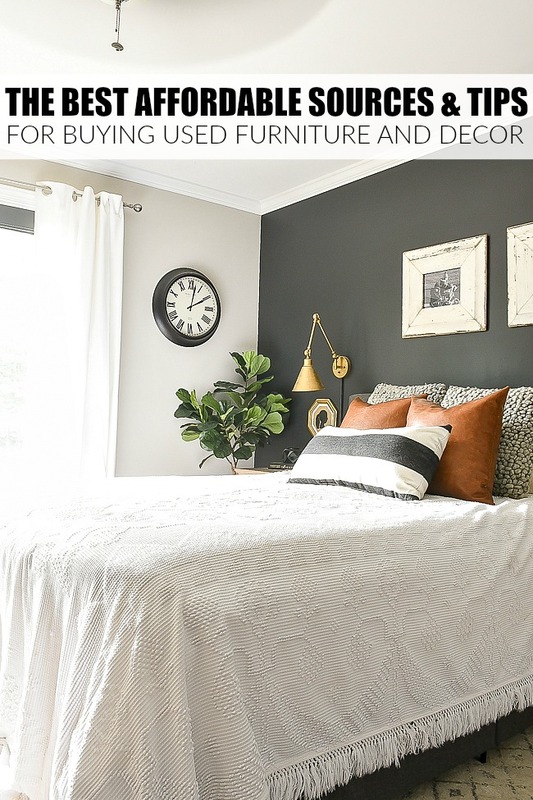 (You can read all my favorite tips and sources for scoring affordable used furniture and decor HERE). 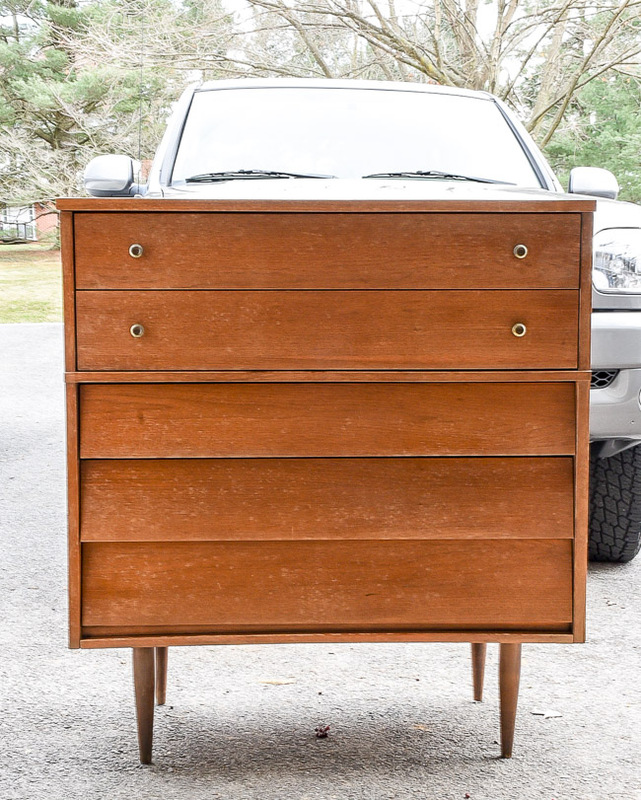 I would have loved to refinish the entire dresser, but like most mid centrury modern pieces, the top was laminate and the body and drawers were covered in a thin coat of veneer. Unfortunately, there was also some damage to the veneer that needed to be repaired before I could start painting. 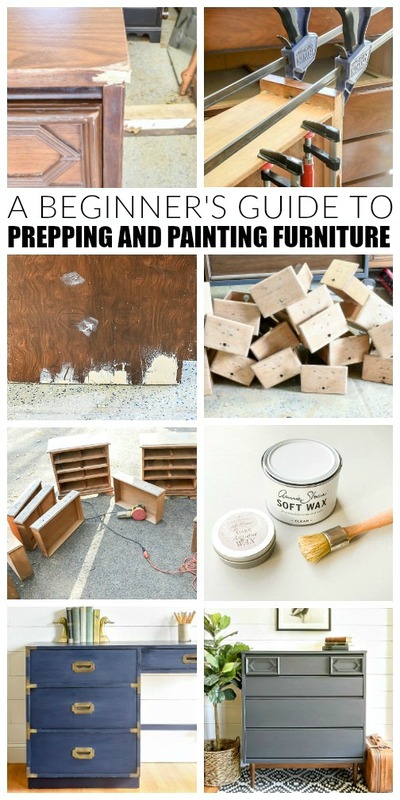 In my beginner's guide to painting furniture, I talked about my favorite wood filler. 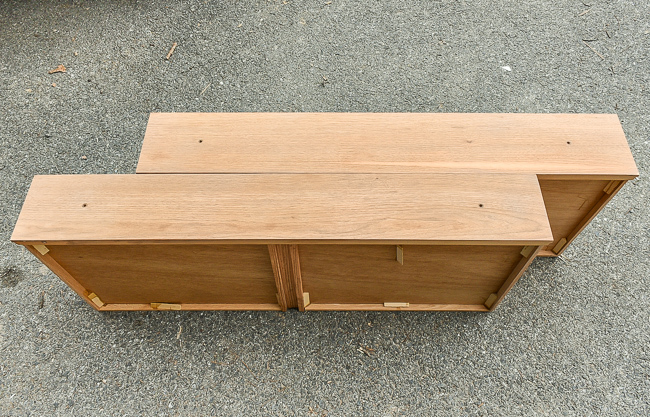 I used the same wood filler on this dresser to repair the chips and knicks in the veneer. I applied it with a putty knife, let it dry then sanded it smooth. I also used wood glue to repair and secure pieces of loose veneer, keeping the wood clamped tight until the glue was dry. 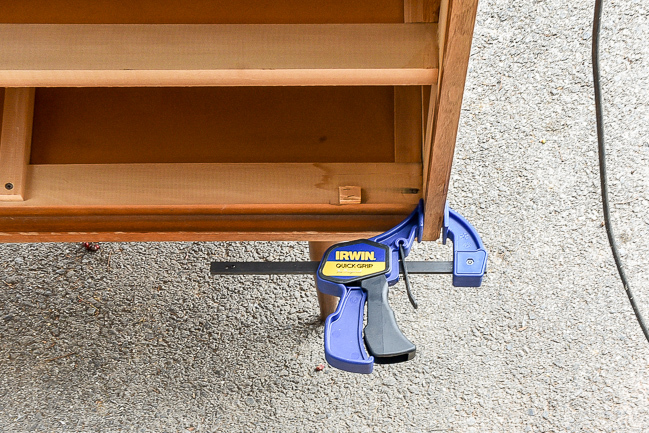 I carefully sanded the top two drawers with a DeWalt orbital sander and 120 grit sandpaper until all the original stain was removed. I lightly sanded the rest of the dresser with the same 120 grit sandpaper then smoothed out the wood with a 300 grit sanding pad. Once the dresser and all the drawers were sanded, I wiped down the wood with Simple Green. I don't normally prime wood dressers that I'm painting a dark color, but this particular dresser had a laminate top, which required priming. I painted two coats of my favorite primer on the top of the dresser to ensure there would be no adhesion issues when painting. My favorite part! 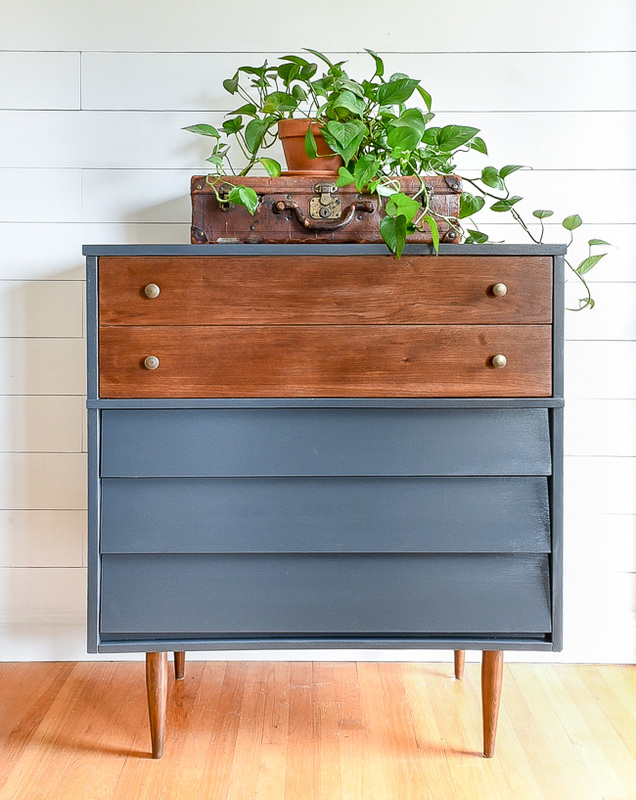 For this dresser, I used two coats of General Finishes Queenstown Gray, which I applied with a brush. I alternate between using wax and water based poly to seal my furniture pieces, but I definitely prefer sealing painted furniture with poly.. 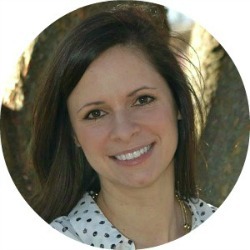 It offers more durability and doesn't require additional applications down the road. For this mid century modern dresser, I used two coats of Minwax water-based Poly in a matte finish. I finished off the dresser with 4 new knobs from Hobby Lobby and a light coat of Restore-A-Finish on the wood legs. 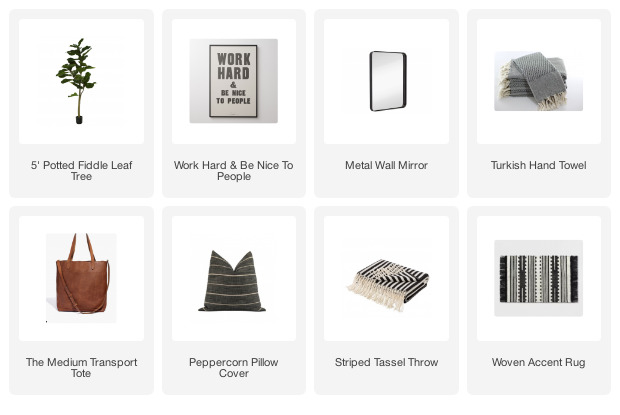 The clean lines and masculine two-tone finish make this mid century modern tallboy perfect for a teen boys room. !